Quiet, Peaceful, Relaxing, Calm.....just a few of the words we hear when people see Rikki's artwork. She has the ability to instantly transport the viewer of her artwork to a sensual and peaceful place. A treat for today's busy lifestyle and a must have addition to any home. 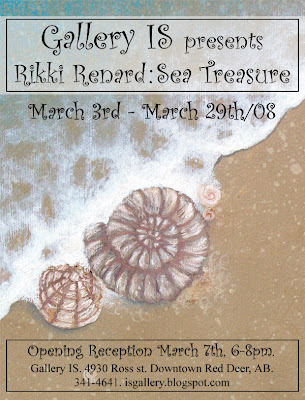 We look forward to showcasing this wonderful Red Deer Artist's show: Sea Treasure March 3-29th and we hope to see you soon. Gallery IS will be closed this Family Day weekend. 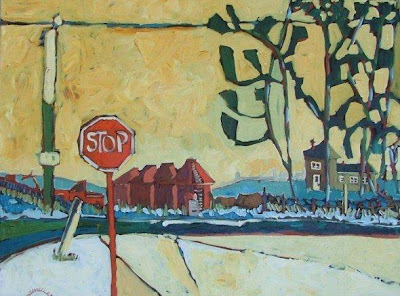 The Gallery will be open regular hours on Tuesday Feb, 19th.